Drama Bomb Designs: PTU Tutorial using "Cocoa Girl" and matching kit coming soon from Arthur Crowe! PTU Tutorial using "Cocoa Girl" and matching kit coming soon from Arthur Crowe! Open a close up of your tube and place over layer 8. Duplicate and add Gaussian blur. Set to 7 and change blend mode to Darken. Place in front of layer 5. Place under your tube like she is sitting on it. Place on the bottom right side of your tag. Place over layer 3 and add drop shadow. Place on the left of your template. 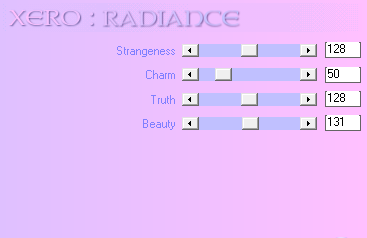 I added the filter Xero Radiance. My settings are pictured below.